Do I need an eye test for reading glasses? If you’re finding reading difficult, you might be tempted to buy a pair of cheap, off-the-shelf reading glasses rather than going to an optician. 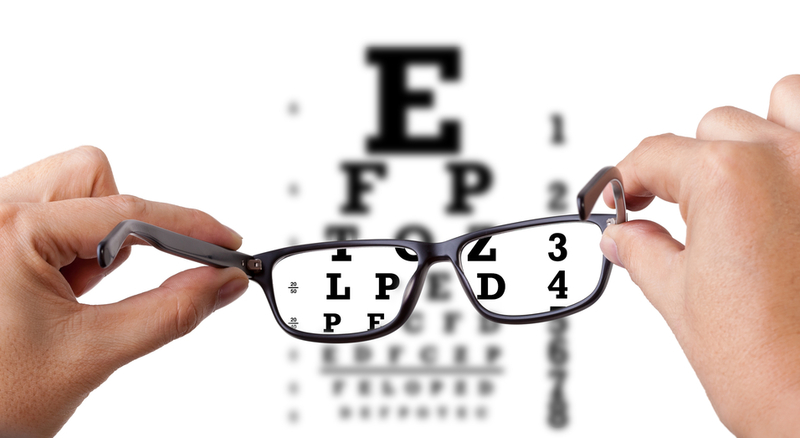 Here at KJ Green in Benfleet, Essex, we always recommend getting an eye examination if you haven’t needed glasses before, or if your eyes have got worse. If you’re 40 or over, (the age when people usually start needing reading glasses), you still need regular eye examinations to make sure that your eyes are healthy. So, once you’ve had your eyes tested, is it okay to buy ready-made reading glasses? Let’s look at the difference between ready readers and prescription glasses. ‘Ready readers’ can be found in most chemists, supermarkets, and even petrol stations. But, while they offer some sight correction, they can’t do the job as well as prescription lenses. Glasses only work properly when several parts of the lens and frame are tailored to the person wearing them. And, it’s vital the artificial lens curves precisely to compensate for the eye’s faulty one. When you change from looking at something far away, to looking at something close up, the lenses in your eyes change shape to focus. As you get older, the lenses become less elastic causing long-sightedness. The condition is called presbyopia. 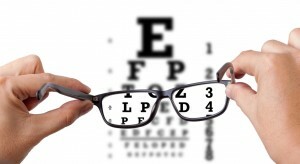 Presbyopia is something that happens to everyone and is a natural part of aging. By the time you reach your late 50s, your eyes will no longer have any natural focusing ability. If you’re in your late 30s or over 40, and you find yourself holding things away from you to see them properly, you may need glasses. Presbyopia happens gradually as your lens loses its elasticity. So close work, such as threading a needle, will be affected at first, followed by things like reading a magazine and focussing on a computer screen. You might notice you’re getting headaches, suffering eyestrain, or feeling tired after doing certain activities, such as handwriting. Do glasses make eyesight worse? Wearing glasses won’t make your eyes worse; presbyopia happens because the lenses lose flexibility, not because the muscles in your eyes are getting weaker. Off-the-shelf ready reader glasses probably won’t do you any harm either. They can be useful as a spare pair when you’re shopping, or for keeping in the car. But KJ Green Opticians recommends you have at least one pair of accurate, prescription glasses that you use for most reading. Your custom pair will fit your exact prescription, and the lenses will sit correctly in front of your eyes, so you look through the centre of them. The frame will fit your face comfortably too, which will make using your glasses easier.